The dog breeds that look the most similar to the Siberian husky are the Alaskan Malamute and the Alaskan klee kai. Other breeds that share similar attributes include the shiba inu, the tamaskan and the Samoyed. The Alaskan Malamute is often confused with the husky because they look so much alike. 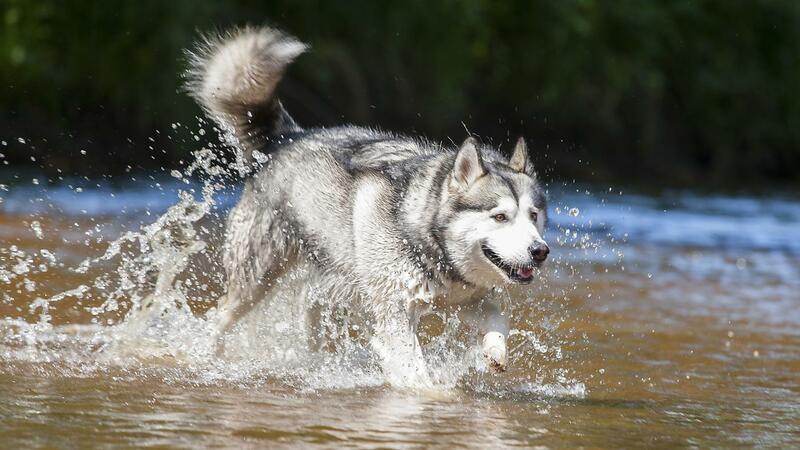 Though it is generally a much larger breed, the Malamute has similar coat patterns and was used as a sled dog. The Alaskan klee kai is a relatively new breed, created to be a miniature version of the Siberian husky. Tamaskan dogs and Samoyeds are also sled dog breeds and therefore share physical features similar to those of the husky. The shiba inu, while not a sled dog, can look like a smaller version of a husky as they both have pointed ears, a double-coat, and often have similar markings. What Are Some Facts About Huskies? Where Can You Find Klee Kai Breeders? How Do You Start an Alaskan Klee Kai Rescue?